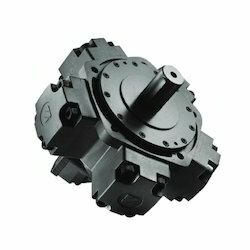 We are engaged in providing the best quality of Hydraulic Motors to our customers. 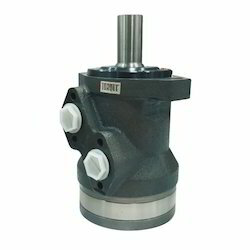 We IEE are Importer and Manufacturer TORQUE Hydraulic Motors We provide one of a kind BM3,TMS Orbit Hydraulic Motor with Disk Valve to our clients. It has a expansive speed range, stable rotation at high speed and a extravagant initial torque speed. Its compact structuring requires minimal maintenance and light weight helps in easy storage. These valves are easier to connect to machinery and can be applied to all sorts of low speed heavy load facilities. 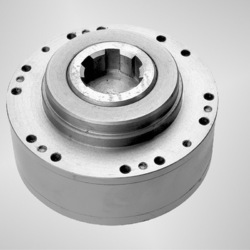 We at THPL manufacturer and importer of ''Torque'' make Orbital Hydraulic Motors. This Torque make orbital Motor is available with Spool Valve. sequence of motor with its shell made of ductile cast iron of suitable force, can stand practical to conditions with less load and interval action, widely to farming, forestry, plastics, machine tools and removal machines, such as the mold height, Plastic Mould, Plastic molding machine, the cleaner, the saw mill, Stell Industry, Cement Industry and the worktable etc. This motor is interchangeble for replacement with all brand of Orbital Motors like Danfoss, M+S, White, Rexroth, Sai,Eaton etc. as mounting of the motors are same. The construction tube, with the deep channel ball manner, can bear certain axial force and radial force. With the axial oil distribution structure, it is of smaller size and less weight. With two inner check valves, no drain linking. With cyclonic group with the roller, it has a small resistance and high powered effectiveness. 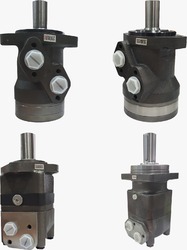 - Orbiting roller set- Spool valve integrated with output shaft- Output shaft supported in hydrodynamic bearings- Output shaft supported in needle bearings Hydraulic Motor manufactured by MR Series have a spool valve: the distribution valve is integrated in the outpust shaft. The cardan shaft thus rotates the distribution valve and mechanical energy from the gerotor set to the output shaft.OPTIONS :- Model - Spool valve, roll-gerotor;- Flange and wheel mount;- Motor with needle ports;- Speeding sensor connection;- Shafts - straight, splined and tapered;- Shaft seal for high and low pressure;- Metric and BSP parts;- Other special features. 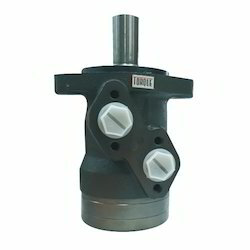 We THPL are Importer and Manufacturer TORQUE And ZIHYD Hydraulic Motors :Our organization brings forth an excellent range of T MP Orbit Hydraulic Motor with Spool Valve that are fabricated using quality raw material obtained fro reliable sources.Following are the characteristics of this product: :Advanced manufacturing devices of the Ge rotor gear set that provides small volume, high efficacy and longer performance life.Shaft seal can resist high motor pressure.Advanced construction design, high power and low weight. We IEE are Importer and Manufacturer TORQUE And ZIHYD Hydraulic Motors :We take great pride in presenting to our customers an wide range of Radial Piston Motors. our Radial Piston Motors makes least noise and has a superior staring torque and appreciable stability in low speed. 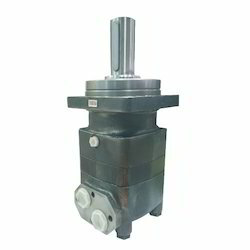 JMDG is one kind of low speed high torque radial piston hydraulic motor. It can be widely applied in petroleum industry, chemical industry, mining, shipping, constructing machinery, especially for plastic injection molding machinery, hydraulic winch, transmission etc.This motor is interchangable with Intermot, Sai and SAM mounting.Range Available : 100 cc to 6000 ccModels : JMDG-1, JMDG-2,JMDG-3,JMDG-6.JMDG-11,JMDG-16,JMDG-31Its areas of applications are:Petroleum industryChemical industryMiningShippingConstructing machineryPlastic injection molding machineryHydraulic winchTransmission Characteristics:* Low noise. * High staring torque (mechanical efficiency improved to over 0.9), good stability when low speed. * High volumetric efficiency. * Higher mechanical efficiency.